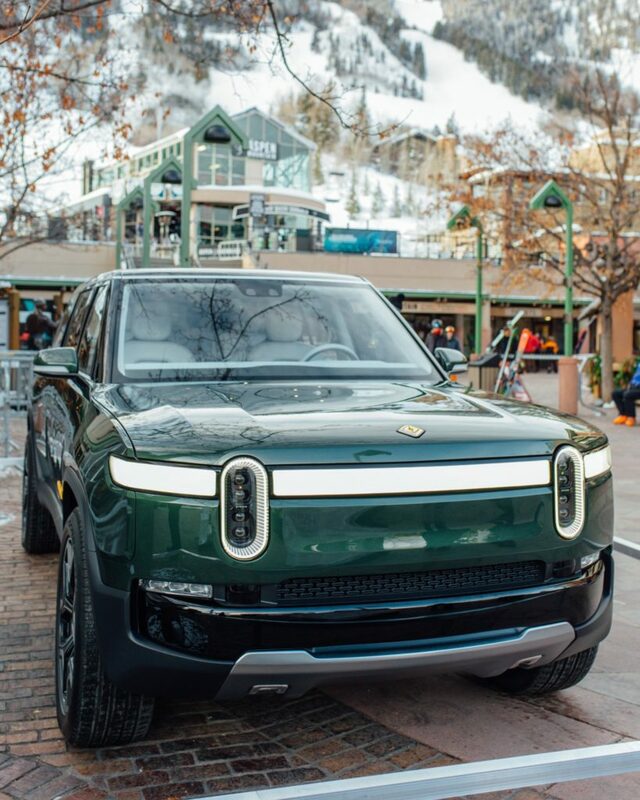 Rivian is showing signs of activity after a couple of months since the first unveiling of their electric pickup truck ‘R1T’ and the luxury electric SUV ‘R1S’ — currently, they are displaying both of their flagship vehicles at the Aspen Mountain in Colorado (latest videos and photos below). 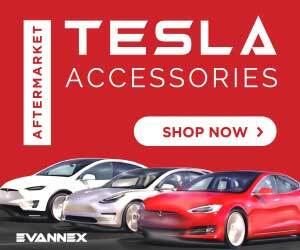 Tesla enthusiast and Youtuber, Sean Mitchell was able to get ahold of Rivian’s CEO RJ Scaringe and record an informative interview regarding the company’s plans and strategy towards the future. 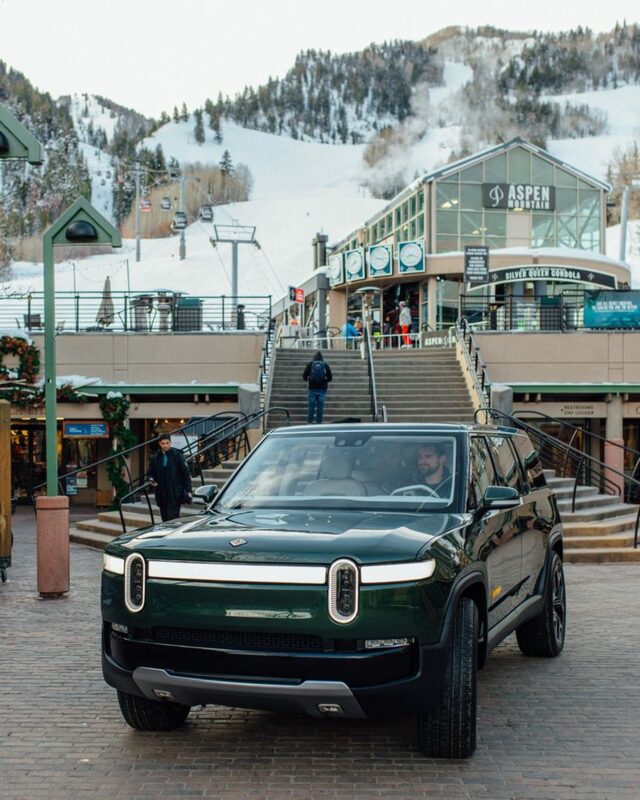 Rivian’s calls their vehicles ‘Electric Adventure Vehicle™’ — are specially built for tough terrains like mountains, jungles, and deserts as they have advertised, this might be the reason for their presence at the Aspen Mountain ski resort. 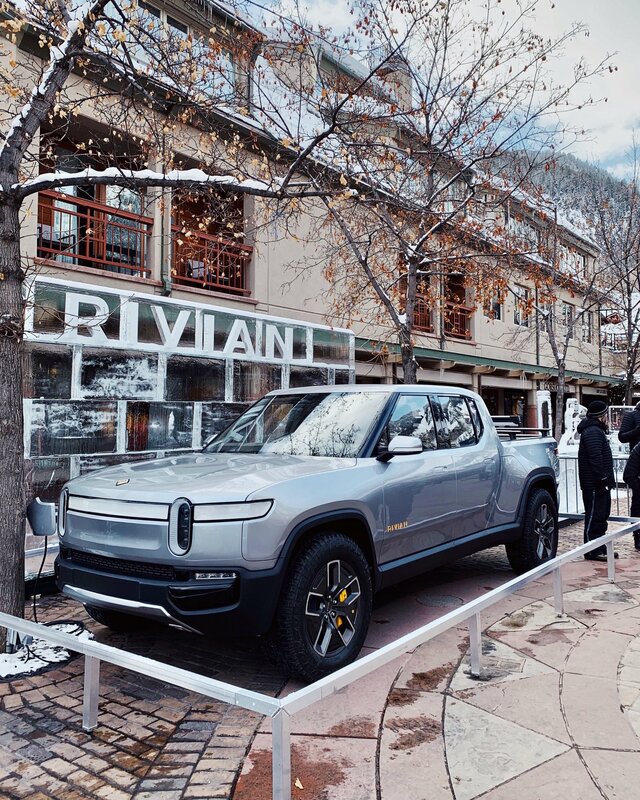 This time we actually see both R1T and R1S being driven on public roads, Rivian intends to showcase the vehicles at this location for a couple more days, if you happen to be near Aspen, Colorado, these electric vehicles are worth a visit. At the scenic location of Aspen, Rivian CEO RJ Scaringe answered some important questions about the company and what drives them as a player in the EV arena. Scaringe told that Rivian Automotive, LLC has been in stealth mode since 2009 in order to put together all the pieces in place before showcasing a product — like the capital, human resource, suppliers and technology. Rivian learned the lesson the hard way after wrongly showing the pictures of an ‘electric sports car’ in 2011, the project they later abandoned in favor of adventure vehicles like a pickup truck and SUV. So Rivian did not show a concept vehicle after going into hibernation, they showcased working prototypes which potential customers can actually check out for real. According to RJ Scaringe, the top variant equipped with a 185 kWh battery pack on both the SUV and pickup truck will get rid of the range anxiety while taking these adventure vehicles off-road or into the wilderness. Talking about the ‘Autonomous’ features Rivian CEO said that the company will be able to demonstrate ‘Level 3 Autonomy’ next year, where their vehicles will be able to give a guided tour of a national park without major input from the driver. Rivian’s vehicles will also narrate important information related to the tour and use the large center screen to display maps, video and important data related to the guided tour. Scaringe also described the unique air-vents of the R1T and R1S vehicles which are integrated into the dashboard, much like a Tesla Model 3 — but here Rivian has spread the air-vents around the wood trim of the dash (dashboard photo). Rivian CEO said that they use the same 2170 cell as other manufacturers do and the system they use for thermal management of the battery pack. Since Rivian is offering the largest battery pack of any EV currently in production, managing battery pack temperature is of significant importance. Rivian is obviously a rising star in the electric vehicle manufacturing and automotive industry space, but they have a long road ahead. Rivian is accepting pre-orders of their R1T Pickup Truck and R1S SUV for a fully refundable $1,000 deposit through their website. Rivian has one edge over any EV manufacturer, even Tesla right now that they are offering an electric pickup truck — if the team at Rivian is able to hit the targeted production and delivery timeline of 2020, the R1T would give them a good headstart in sales and positive media coverage. 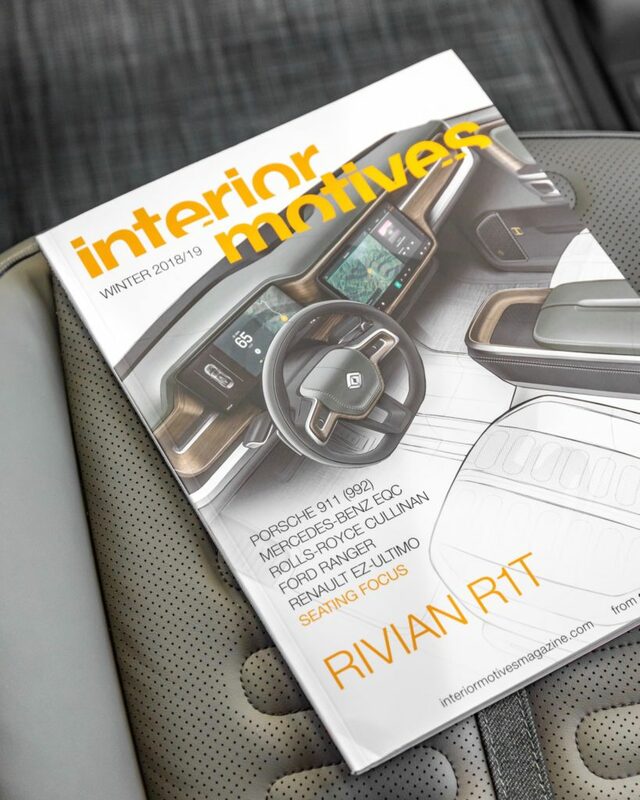 Rivian also earned the cover photo of ‘Interior Motives’ magazine for the R1T pickup truck’s expansive interior design, even Tesla’s Chief Designer, Franz Von Holzhausen stopped at Rivian’s stall at the LA Auto Show to check out the design elements (exclusive coverage by Teslarati). Let us know your thoughts about Rivian and how they can challenge Tesla in the automotive and EV sphere.